For Friday, we concentrate on the letter "W."
Not every hero has to brandish a lightsaber. Not every pilot has to have the Force to do his job well. Wedge is your old, reliable buddy. The responsible one who's always there as the designated driver. Even when things go south, it doesn't shake him. You envy him for that. 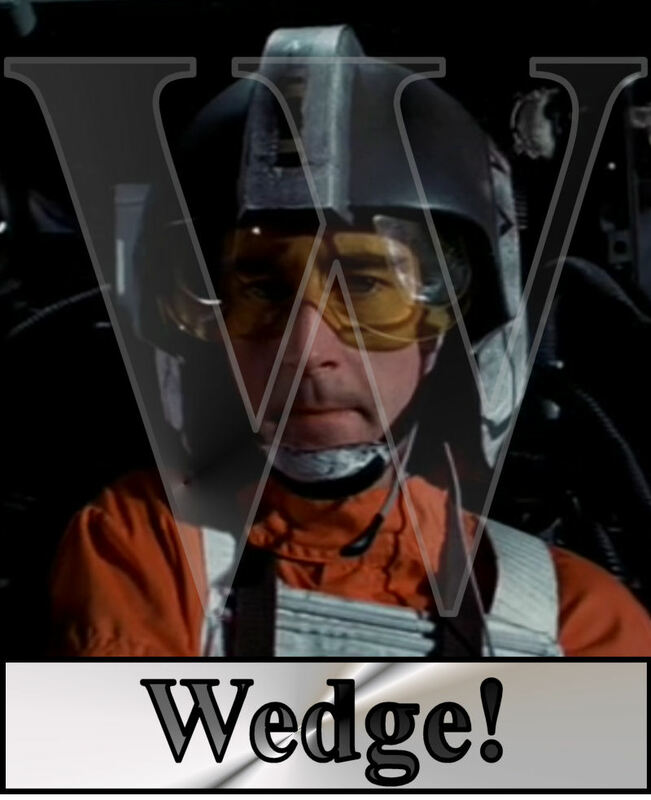 A "minor" character who appeared in the original trilogy, Wedge served with valor at the battles of Yavin, Hoth, and Endor. He played a major role in the assault on the first Dreaded Death Star and had an actual hand (er...proton torpedo) in the destruction of the second one. A skilled pilot, he could probably best Luke Skywalker if Luke turned off his Force powers for a few minutes. MONDAY: Lock S-foils in attack position!